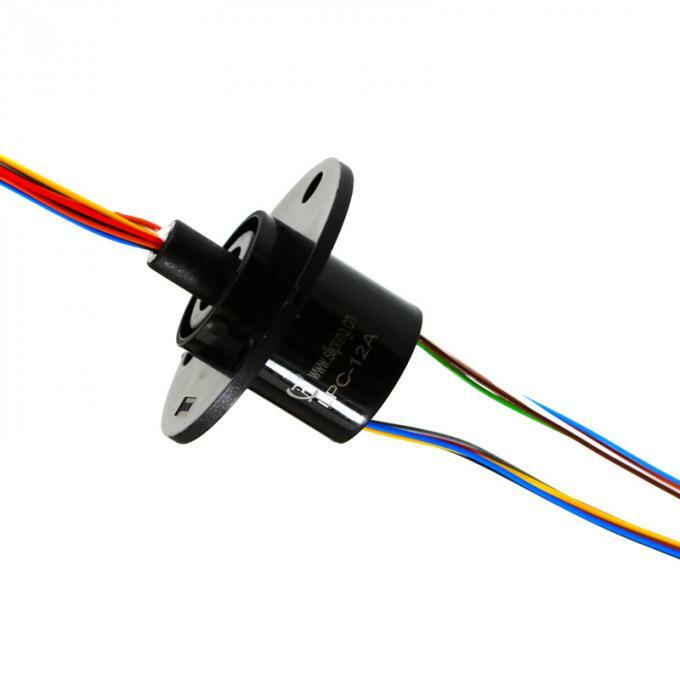 The Slip Rings Series, thanks to its extreme compactness, guarantees a low outer speed between rings and brushes, thus to reduce material consumption so as to enhance its lifetime.This Series has been designed keeping flexibility, cost-effectiveness, and reliability in mind. The LPC-12A capsule slip ring is a standard, off-the-shelf unit that uses gold contacts at the rotary interface. Color-coded lead wires are used on both the stator and rotor for simplifying electrical connections. This unit can be used in any electromechanical system that requires unrestrained, continuous rotation while transferring power or data from a stationary to a rotating structure. 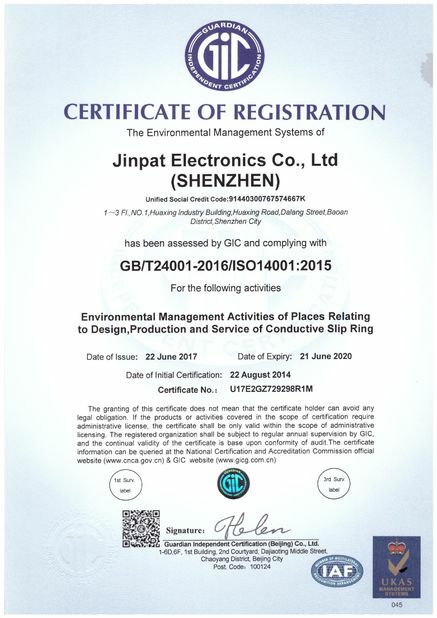 It is also called a rotary electrical interface, commutator, collector, swivel or an electrical rotary joint. 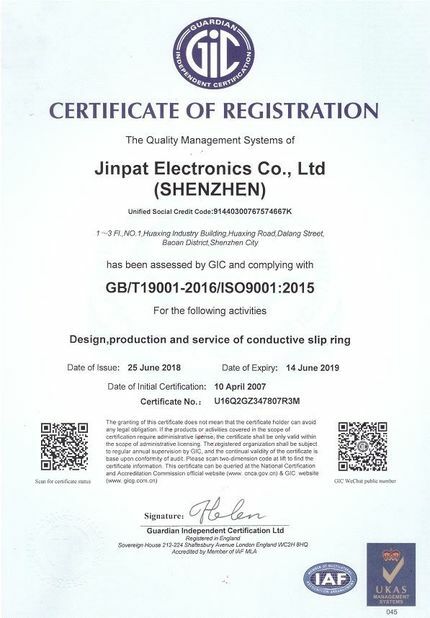 LPC-12A provides smoother running, It is available in 6, 12 circuits model. 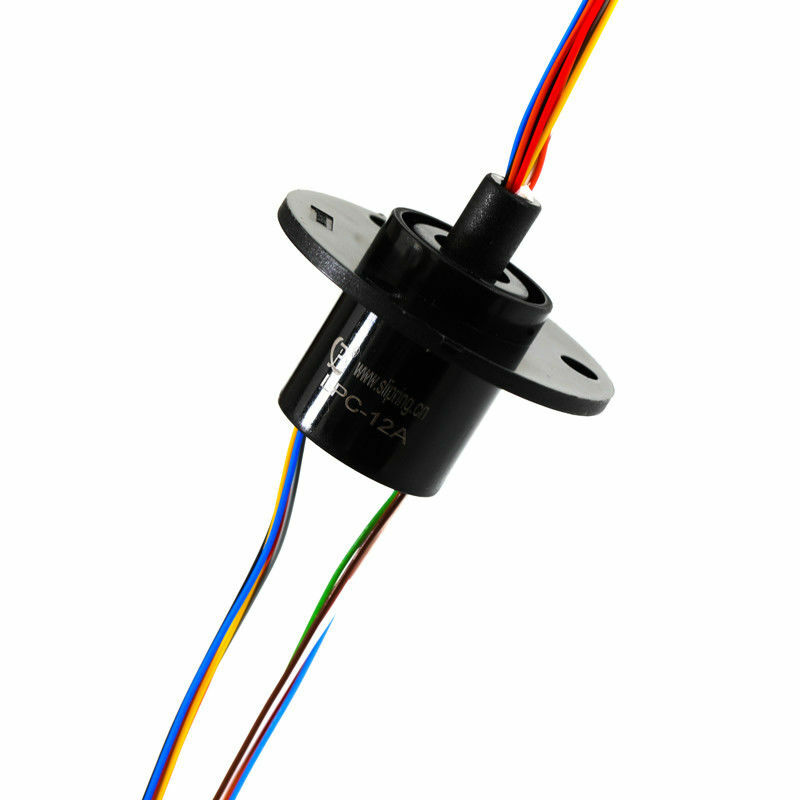 Slip ring guarantees a low electrical resistance and a stable structure. High data rate and frequency signal transmission. Signal and power Can be combined in same slip ring. Double precision roller bearings for lower torque & long life. ◆ The operating life of the unit depends upon temperature, rotation speed, and environment. ◆ The operating life ≥50,000,000 runs ref.